For over a year now, there's been chatter and buzz about another prequel to the popular (and unbelievably amazing) Battlestar Galactica series. 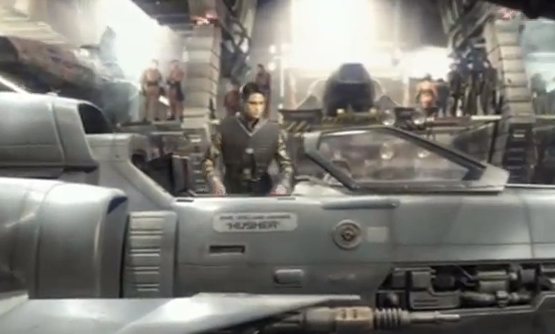 Originally conceived as a two-hour web series, Battlestar Galactica: Blood & Chrome was then rumored to be produced as a pilot for an entire new SyFy series. Last fall, news broke that the series had once again returned to web series status, but updates have been few and far between since then. All we really know is that the series, in whatever form is takes, will focus on a young Bill Adama fighting in the First Cylon War on the then-new Galactica. Frakking awesome. In the (very likely) case that YouTube takes that video down, head over to io9 to see the trailer. With no confirmation on whether this will be a web series, miniseries or full TV series, there's obviously no information on when to expect Blood & Chrome's arrival, but stay tuned for more info!